LONDON (AP) — Britain's Prince Andrew says an Oct. 12 wedding date has been set for his younger daughter, Princess Eugenie. Andrew, the third child of Queen Elizabeth II, announced the date Friday on his official Twitter account. Eugenie, the 27-year-old daughter of Andrew and his ex-wife Sarah Ferguson, will marry Jack Brooksbank at St. George's Chapel in Windsor. LONDON (AP) — It will be a busy year for royal weddings: Princess Eugenie is engaged to be married later this year, several months after her cousin Prince Harry's nuptials. David and Victoria Beckham have been accused of treating Buckingham Palace as a "theme park" after their daughter Harper had a birthday tea party at Queen Elizabeth II's royal residence on Monday (10.07.17). The famous couple's six-year-old girl wore a gown inspired by Queen Elsa from the movie 'Frozen' for the bash at the London palace, where she spent time with the likes of Princess Eugenie and a host of her school friends. 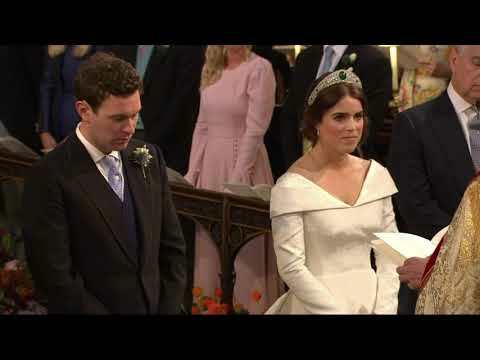 There were spring weddings all across England on Saturday, but only Pippa Middleton's nuptials featured two likely future British kings on the guest list. That would be her brother-in-law, Prince William, and her nephew, Prince George. LONDON (AP) — Britain's Prince Andrew wants the media to leave his daughters alone. The prince issued a strongly worded personal statement on Friday calling for an end to "speculation and innuendo" about his daughters, and denying reports of a feud with big brother Prince Charles. Andrew, the third of Queen Elizabeth II's four children, slammed recent newspaper stories that he said "have no basis in fact."